If there’s one thing you can say about Nick Carter, it’s that he’s always busy. This past weekend was no different – but not in a way one would think. Between Vegas shows on Wednesday, Friday and Saturday, Nick stayed busy giving back to the community he now calls home. 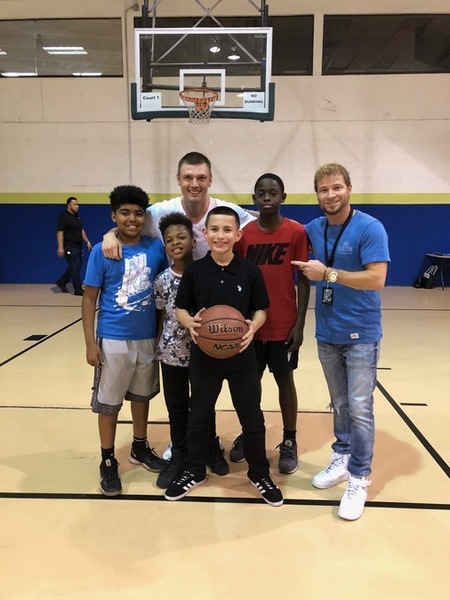 On Friday afternoon, he joined the rest of the Backstreet Boys at the Boys & Girls Club of Southern Nevada. The 100+ year old organization promotes programs and services that enable young people to reach their full potential as productive, caring, and responsible citizens. The Boys spoke to the young audience about the importance of hard work before the fun began – singing, playing basketball and a dance off or sorts! The Boys & Girls Club won’t be far from the Boys’ hearts while they’re in Las Vegas; $1 from each ticket sale for the shows will be donated to the organization to help continue their good work in the local community. After playing two packed shows on Friday and Saturday night, Nick continued the goodwill on Sunday morning by joining other locals to walk alongside a family in the 40th Anniversary Candlelighters Torch Relay. Candlelights Childhood Cancer Foundation holds the annual event to honor Candlelighters’ families in their fight against pediatric cancer with the torch representing every child’s cancer journey. Following the relay, Nick hung out with his own family and enjoyed the rest of the festivities, posting a video of Odin really enjoying the band – see the video here! You can learn more about the Candlelighters and how you can give back here. 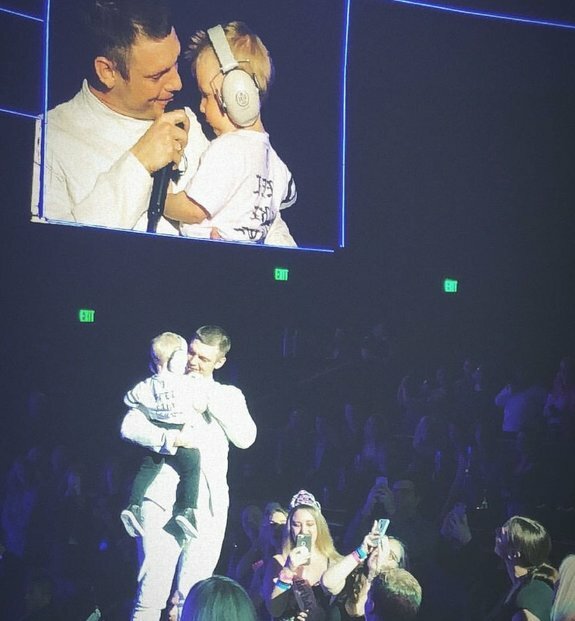 Speaking of Odin, the youngest Carter quickly became the star of Friday night’s BSBVegas show when Nick brought him onstage for his first onstage appearance. A resounding “aww” ran through the Axis theater as the doting dad introduced his son to everyone and became slightly emotional before handing him back to Lauren in the audience. An audience member caught the whole thing on video and if you missed it, you can catch the heartwarming moment here. Not only is Nick focusing on helping his community, but he and wife Lauren are working hard on getting themselves in the best shape as well. The Carters just announced their newest venture - #ComebackChallenge, a 6 week health challenge, focusing on healthy eating while balancing a busy lifestyle. Want to know more? Check it out! Are you seeing Nick in Las Vegas this month? Be sure to share your photos and stories in the Fan Club blogs and forums sections! You never know who might be reading. I was at the show Friday when Nick brought Odin onstage. Nick was DEFINITELY not the only one getting choked up. I love seeing Lauren out there (and all the wives for that matter) supporting her Boy and even bringing the little guy for the first time to see what Dada does at work. Precious. This has been a fantastic article since the BSB were in Las Vegas with their concerts and Nick has been busy with the community also.